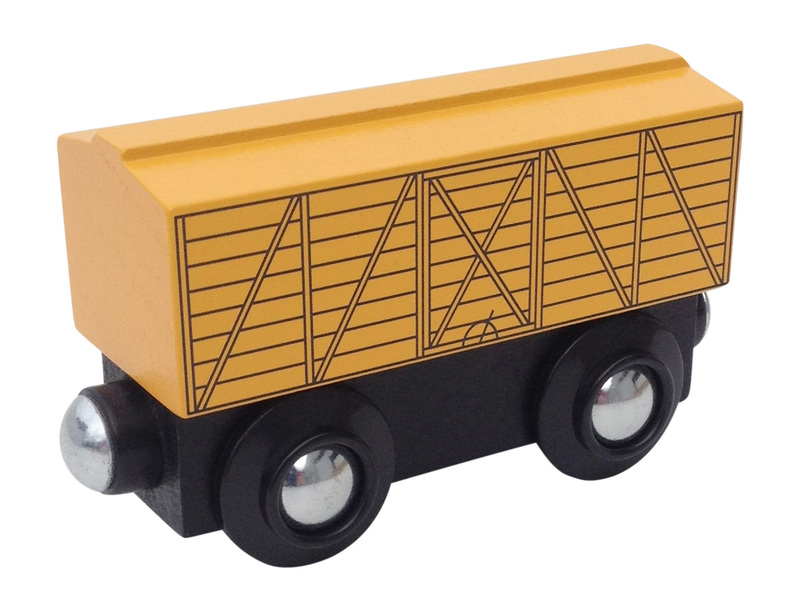 Load up your herd in this Yellow Cattle Boxcar and add it to your wooden train collection. Fits on wooden track and the round magnets connect to other wooden trains on the market. Approx. 3" long.